AR Billing Services is a call center business management solutions provider, specializing in the recovery of non-default medical self-pay receivables. We can manage the self-pay portion of your revenue cycle management, from day 1 until account resolution! Along with years of experience we deliver this service based on our ability to implement our integrated technologies and our proven methodology. Our call center billing representatives pursue account resolution as you would expect from your own staff; with professional respect for your patients and the highest integrity of service. Our professional call center provides all the modern day recovery technologies Including our most valued specialized billing representatives, ringless voice messaging, text reminders, unattended IVR solutions that are available 24/7, 365 days a year. Securing payment is what billing is all about! AEA offers your student every possible option to pay: 24/7 mobile IVR & online e-services, recurring payment plans, live interaction with a representative, and traditional lockbox services. Students can choose text reminder options, paperless billing and more. We accept ACH/EFT and all major credit cards. Our integrated solutions give your students all the tools they need to efficiently manage their payment obligations. Engaging patients who have missed their payment obligations can be a daunting task. Early delinquent AR intervention is a critical piece to your overall strategy. Timely follow-up will minimize your losses and prevent accounts from going to a debt collection agency, thus saving you money and your patient's future credit. Pre+Collect PLUS℠ is designed to take a fresh new approach to your delinquent accounts and minimize your bad-debt write-offs. You already know that AR Billing Services excels in full service early-out programs. But did you know that we also offer pre-collect, debt-mitigation strategies designed to save your delinquencies before they reach a default status? We recognize that full service early-out is not always the right answer for every facility. Many of our clients have a strong early billing cycle in place but are frustrated with the amount of dollars that fall into a bad debt status. Pre+Collect PLUS℠ is designed to reduce your bad debt write-offs while saving your patients the stigma of being placed with a debt collection agency. This is obviously good for your patient, and even better for you: you get a balance resolved at a cost nearly half of what a collection agency is likely to charge and more importantly, you save a valuable customer relationship! For accounts that do reach a default status, we can either return the account to you or manage placement to a collection agency of your choice. AR Billing Services is not a debt collection agency. We do not credit report, nor do we litigate. We specialize in non-default, medical self-pay receivables by offering professional account resolution management with our friendly call center technicians. We give your patient every means to remit, including online and IVR payment options, and we are fully compliant with HIPAA and 501(r). at the time they prefer. Medical self-pay financial responsibilities can reach a wide range of guarantors. A Pew research in 2015 advises that over 90% of adult patients own a mobile phone. Today, that number likely approaches 100! 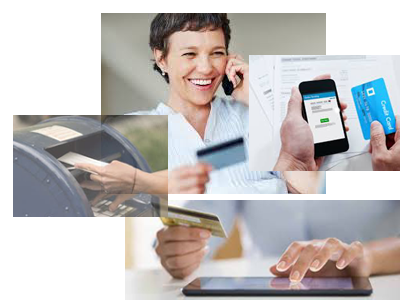 Our payment solutions deliver ease of availability, that provide solutions for guarantors of all generations. We offer your patients every possible option to pay: 24/7 mobile IVR & online e-services, recurring payment plans, live interaction with a representative, and traditional postal services. Patients can choose text reminder options, paperless billing and more. We accept ACH/EFT and all major credit cards. Our integrated solutions give your patients all the tools they need to efficiently manage their payment obligations, all at the palm of their hands. All our payment solutions are integrated with our main line billing services, any one of our payment solutions can be implemented as a stand-alone (or combination of) option added to your business office. Free of charge we implement your AR in to our already integrated proven solutions, provide your cusomters with all the modern day and traditional payment options while saving you thousands on vendor fees, administrative cost, materials and much more. More than half of bills in America are paid online; your guarantors can use our easy-to-use Self-Service Portals to manage their billing accounts online, including; making payments, setting up promise to pay arrangements, view payment history, update contact information and more. Now available in both English and Spanish. Interactive Voice Response - Internet down? No WIFI? It's 3:00am? No Problem IVR provides the same benefits as online portals and Agent Assisted calls handled quickly and effectively by providing; payment options, balance information, due dates, payment history and more in both English and Spanish. On average, 60% of patients still prefer a mailed statement. Impactful, fully customizable patient friendly statements can be a key, perhaps still the most important element in increasing your recovories, convey important information and provide assistance directly to your patients. After requesting eStatements and going through a simple verification process, patients can now receive their billing statement and messages from us electronically in a method even more secure than standard mailing. Patients can verify who they are, view their statement and make a payment all in just a few clicks. Get faster, easier, more powerful AR workflows, maximize revenue, and benefit from our professional call center representatives. Our skillful representatives will provide quality, effective, muti-level professional account resolution. Auto Payment plans allows your patients to set-up, reliable, recurring payment plans with auto-debits and pay as you go options; which enables them to control when and how to make future payments based on our client's repayment cycle models. AEA utilizes technology that allows us to leave messages on your students’ cell phones, WITHOUT ever ringing the phone. The student is not interrupted, the message is received, and now the student can respond at their convenience and with foresight, leading to quicker account resolution. All postal payments may be directed to our secure lockbox, depending on your project requirements. All mailed in payments will be processed at our local facility and cash remitted to AR Billing Services is kept in a secure escro acccount. Limited human resources? Becoming increasingly difficult to keep the phone line covered? 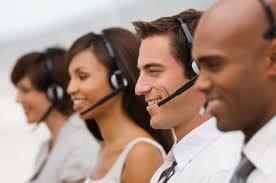 Direct entire departments to our local call center and we can act as your first contact attendant. Accounts under contract and in our database will be immediately serviced and all other calls will be managed according to your guidelines or directed to departments or individuals you designate. While this tool is integrated with our main line services, ARattandant can be a stand alone addition to your business office that can provide reception service where resources are limited and is an excellent option to manage the retirement of a legacy systems. In addition our team has extensive experience in a wide-range of Practice Management Systems including, but not limited to, EPIC, Vision, eClinicalworks, Meditech, CPSI, Affiity, Cerner and FACS. ARattendant provides all the modern day technologies Including; our knowlegable billing representatives, ringless voice messages, text reminders and unattended IVR solutions available in both english and spanish 24 hours a day, 7 days a week. In today's cyber world, it should be expected (not sold) that we demonstrates adequate controls and safeguards while hosting and processing data that belongs to our valued clients and their customers. The security of our clients consumer's personal and financial data is of the highest concern. Our data security procedures include guidelines set by HIPAA and the Payment Card Industry (PCI). AR Billing Services is properly bonded and is compliant with all Federal and State Laws. Our work standards, controls, and procedures have been audited by an independent Certified Public Accounting firm using auditing standards instituted by the American Institute of Certified Public Accountants. In addition we conduct thorough background checks on all employees, restricted access to facilities, 24/7 video monitoring of the premises, paper-less environment, drug testing, regularly educate staff on their responsibilities and keypad locked doors to limit access to sensitive internal areas. Access to systems and networks are controlled by user/pw combination in a restricted domain environment. AR Billing Services follows stringent protocols in the transfer of customers’ financial and personal information. Encrypted data is sent and received via secure file transfer protocol (SFTP), or other secur methods perferred by our clients. Our Payment and FTP hosting sites are protected by latest EV SSL security certificate from Comodo, today's world leader in cyber security. We can send encrypted emails and automate reporting with standard Microsoft 365 email encryption tools, allowing our clients to respond with the same level of encryption using a free service. AR Billing Service maintains an A+ rating with the Better Business Bureau (BBB). We partner with world leaders in business technology and communications to deliver the best in services and solutions that work best for your business needs. An estimated $125B is lost by healthcare systems each year due to underpaid claims. With up-front costs waived, Wellness Wishes’ Claims Recovery Program is the perfect, no-risk, way to easily and efficiently reclaim lost revenue for your healthcare system while generating much-needed funds for philanthropic endeavors! All in 4 easy steps… #healthcare #claimsrecovery #paymentintegrityanalysis #lostrevenue #philanthropy! Ask us about wellness Wishes and we'll get you started on the right path today! Percentage of their recoveries will go to benefiting a local charity. Do you not want to recovery lost revenue and a chance to give to a local charity? Then what our you waiting for? Contact us today for more information. © 2019 AR BILLING SERVICES. All right reserved.